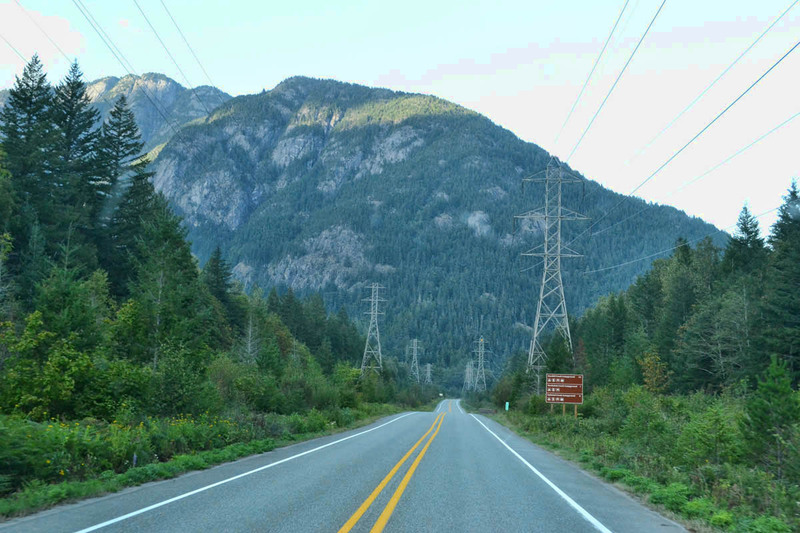 North Cascases National Park — Its Electrifying! 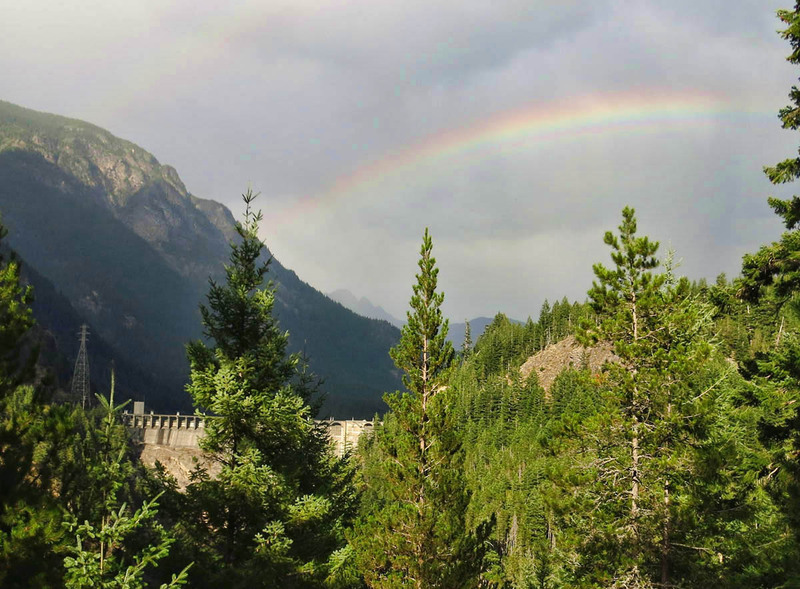 In trying to make everything fit in before my planned September week-long vacation in Glacier National Park, I have to do a little mid-week travel, something I rarely do. But since I work Central Time Zone hours while on Pacific time, I am able to squeeze out a couple of extra hours of daylight. 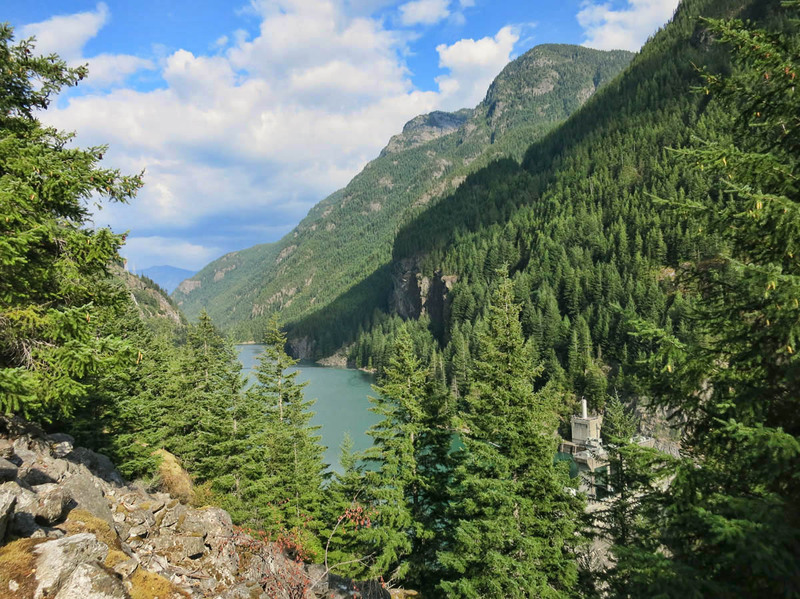 North Cascades National Park is an easy 76 mile drive from Anacortes, so I make a run for it mid-week, with the hopes of exploring the least crowded of our National Parks over the weekend. 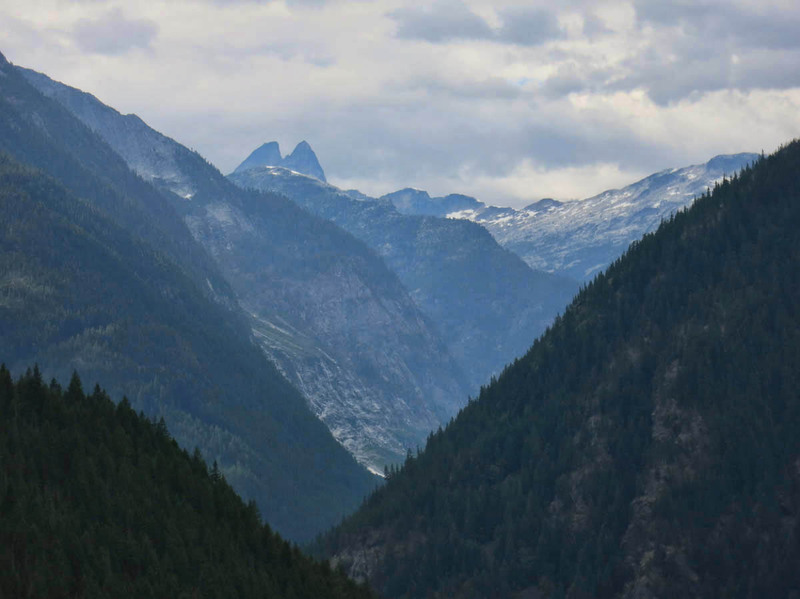 North Cascades National Park is made up of steep-sided, heavily forested mountains with glacier-topped peaks, often referred to as “American Alps,” though I wonder if my Colorado friends might have something to say about that. 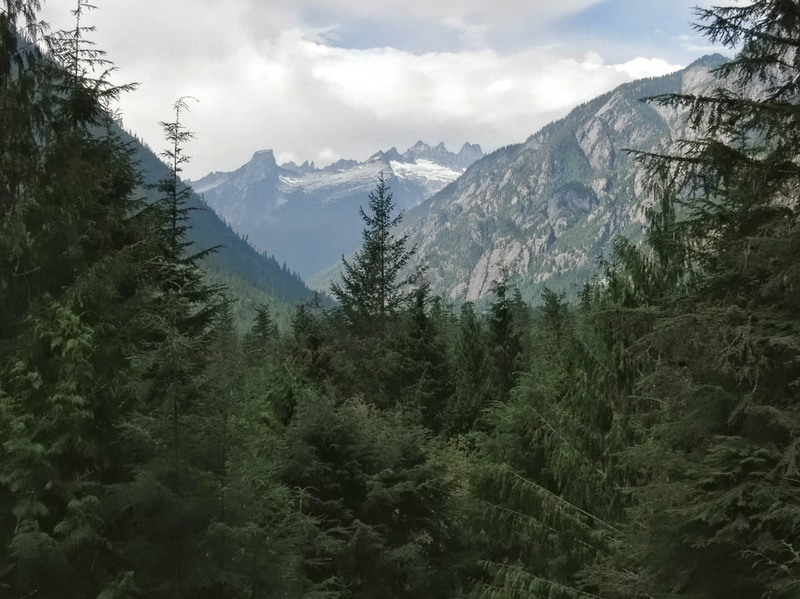 😉 It is the steepness of the Northern Cascades, rather than elevation that lends to the dramatic landscape, along with the over 300 glaciers in the park, though some of those have melted within the last decade. 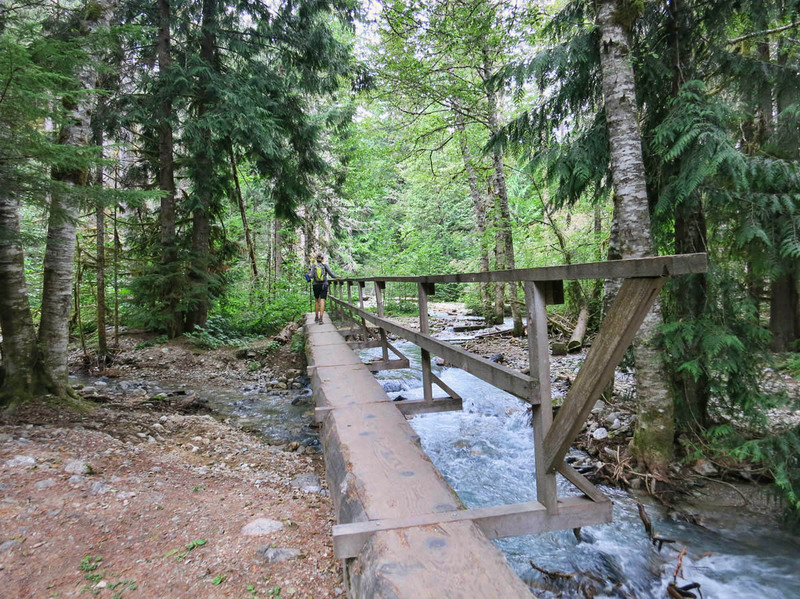 I recently read about Newhalem Creek Campground from blogger John, who reported a strong 4G signal. From inside a National Park? Unheard of! So I asked John if he thinks the signal is strong enough that I would be able to work. He reports back “You should have no problem.” This is confirmed by my leap-frog traveling friends Jim and Gayle, Debbie, and Kim who have arrived before me. 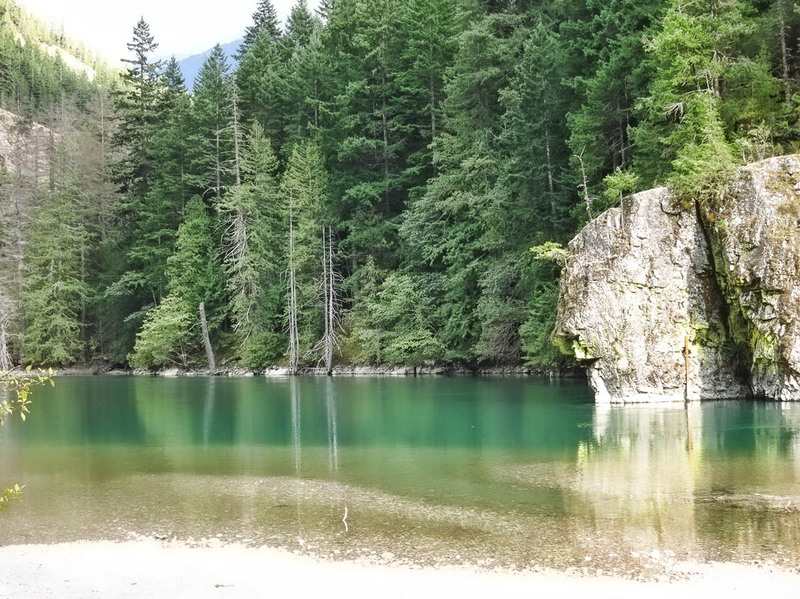 What a treat to park in such a gorgeous spot during the work day, with time to hike nearby trails at the end of the day! I start doing some advance research on the national park, and although there are ample hiking opportunities, there doesn’t seem to be a lot of attractions beyond the mountains and lakes…not that those aren’t enough, but looks like it is a pretty low key on the activity scale compared to other national parks. In reading through the “Things to Do” section, I notice a couple of recommended tours with a common thread. 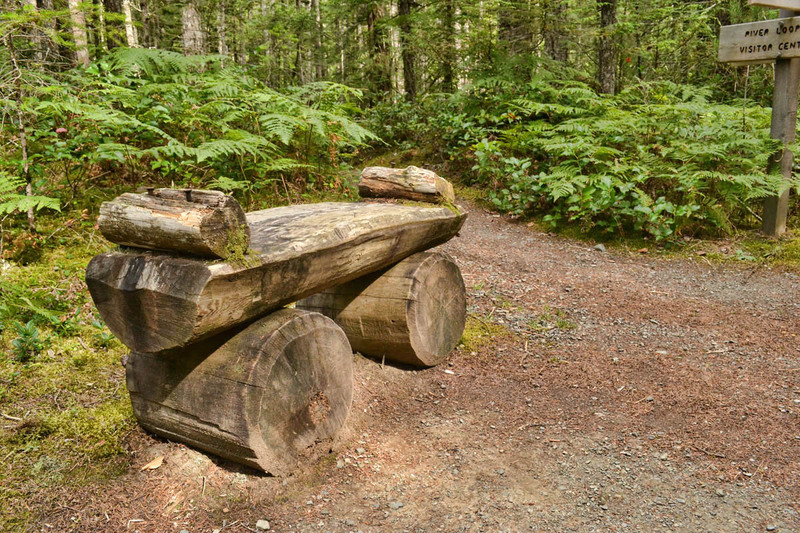 Both are operated by “Seattle City Light,” Seattle’s electric power utility, who owns three dams within the park; Gorge, Diablo, and Ross. 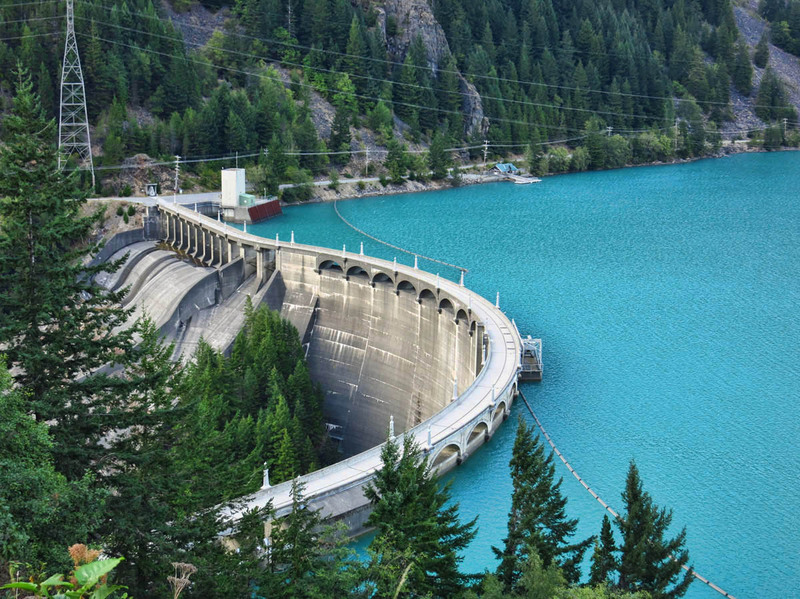 These three dams make up ¼ of Seattle’s electric power. 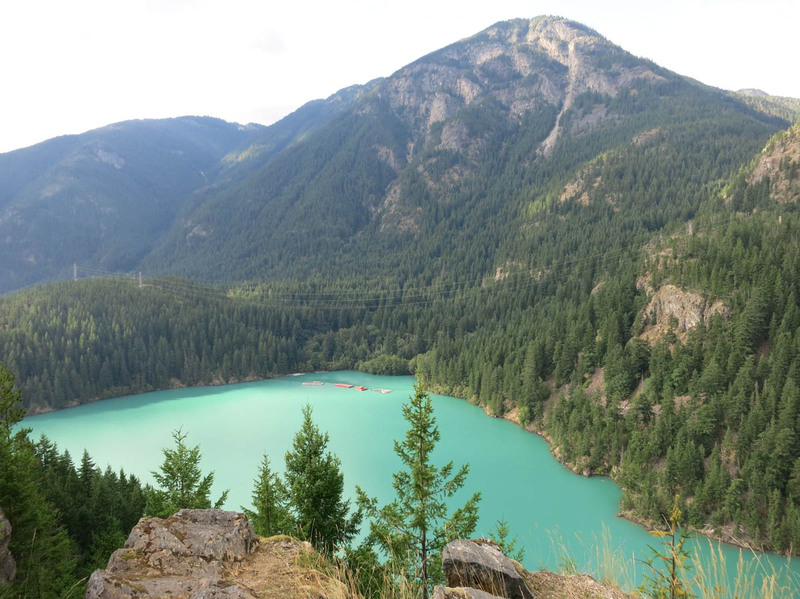 Lake is beautiful turquoise due to glacial “flour,” or silt. 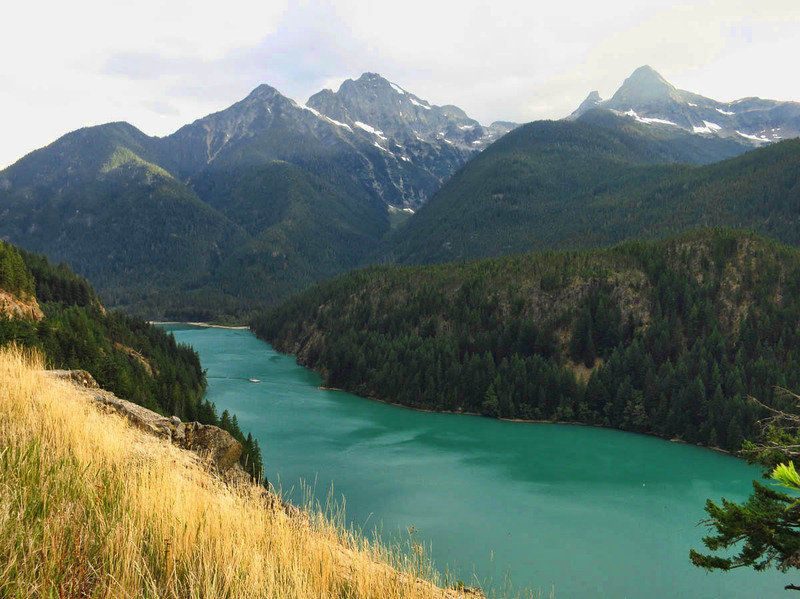 I get a sense that these tours, which include lunch at the North Cascades Environmental Learning Center, are geared toward making me feel good about the three dams. 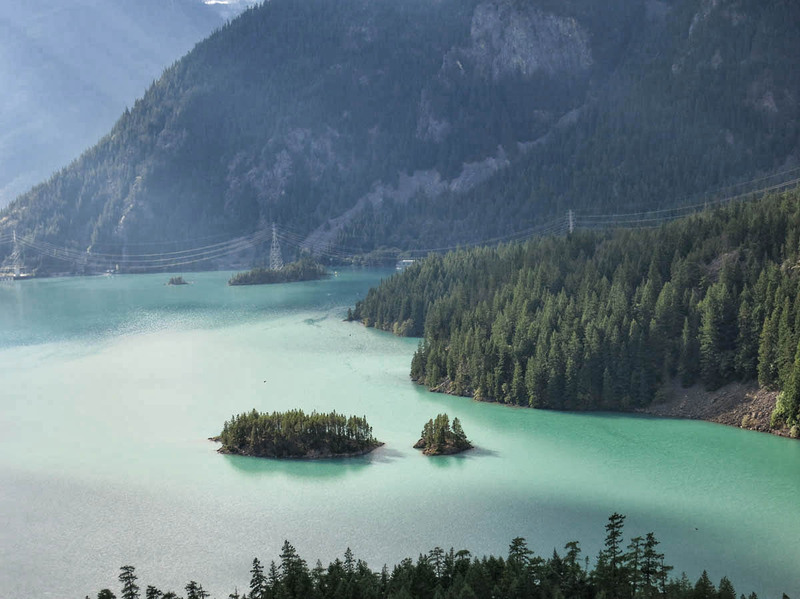 “You’ll also learn about the unique relationship between the environment and the Skagit River Hydroelectric Project’s three dams, which provide clean, low cost, renewable power to the citizens of Seattle.” I opt out of the tours, as much for the “propaganda factor” as the $38 price tag! 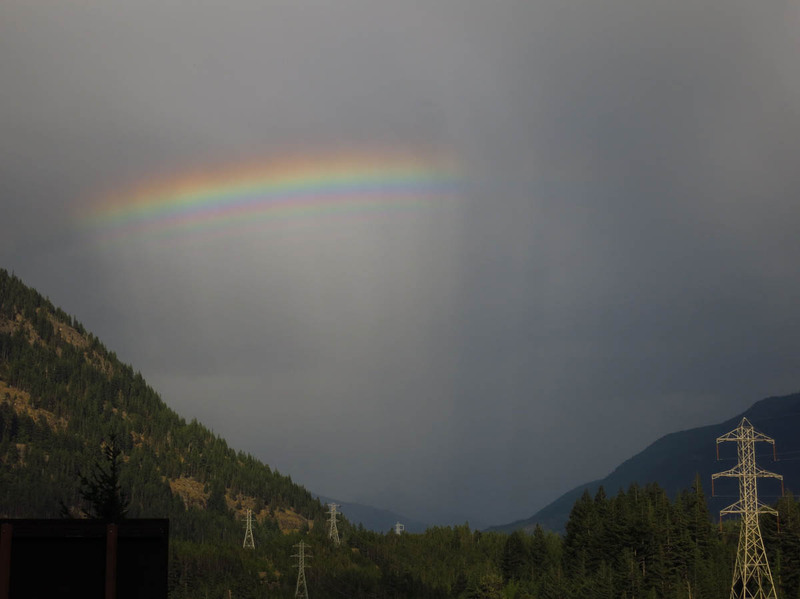 Does a rainbow over Ross Dam make me feel better about all that concrete? 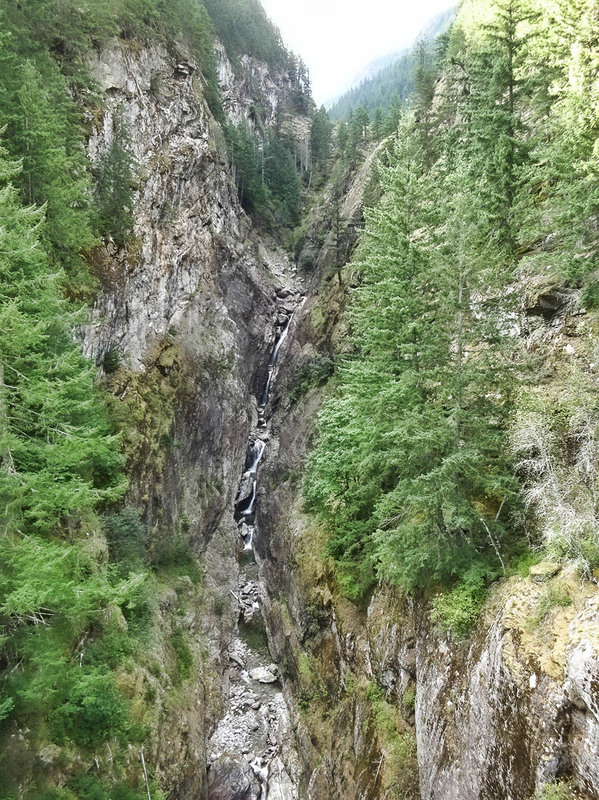 A look around Newhalem, and you quickly see evidence that it is the hydroelectric epicenter. 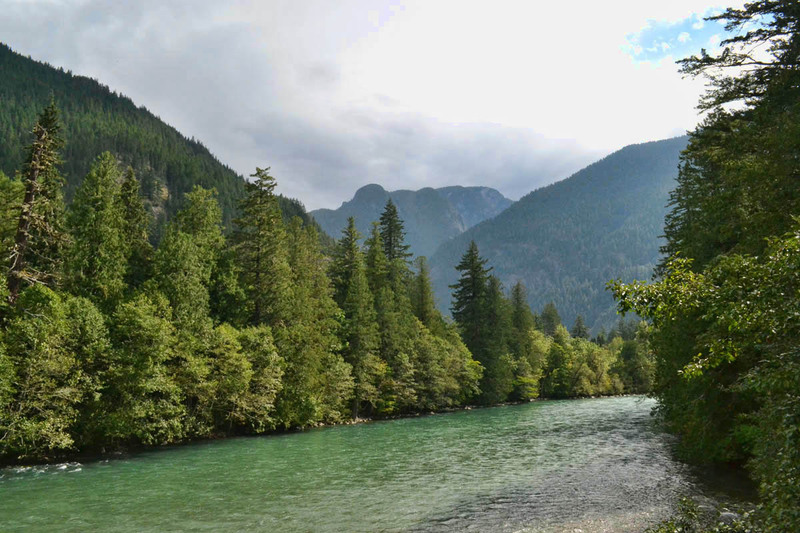 In fact, the entire town was built as a “company town” for the purpose of supporting operations at the Skagit Hydroelectric Project. I have them to thank for my 4G Verizon signal. A visit to the “Electric Forest” after dark is enchantingly beautiful, yet the location of the attraction right behind the power plant, with glass display windows of the giant machinery again feels like another propaganda ploy. Though the dams and Electric Forest are beautiful, to have this kind of environmental disruption in the middle of a National Park just feels wrong. 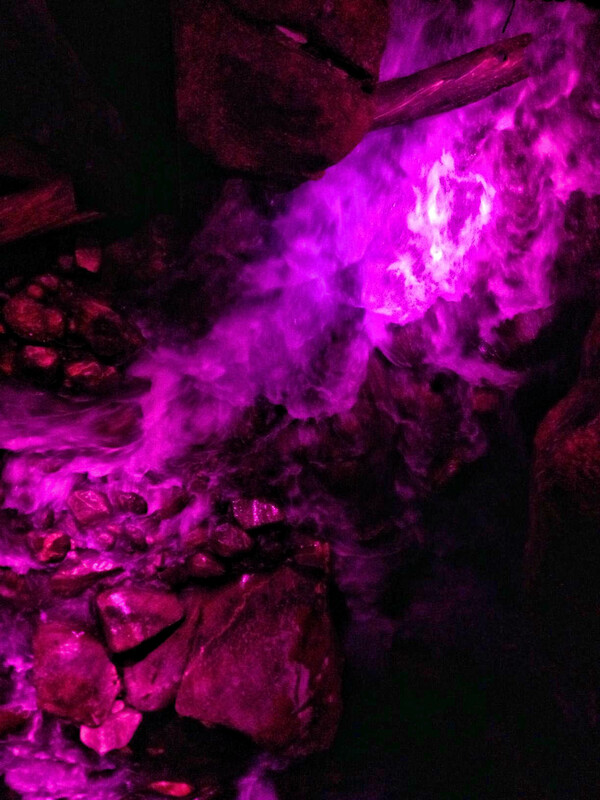 A bad nighttime photo of the colored “Electric Forest” that lights up Ladder Falls. I am not a fan of damming rivers, and in fact, I lean more toward Edward Abbey’s “Monkey Wrench Gang,” the fictional book about a group of conservationist who try to throw a monkey wrench in the damming of the Colorado River for the sake of the Glen Canyon Dam. Though Kim does remind me that I am fond of my hook-ups, I also feel pretty good about my solar install these days, which allows me to run my entire home and mobile office from any given sunny spot for days on end. I wish we as a country would explore more solar options. It seems like such an obvious choice over rearranging our rivers and altering the course of nature. 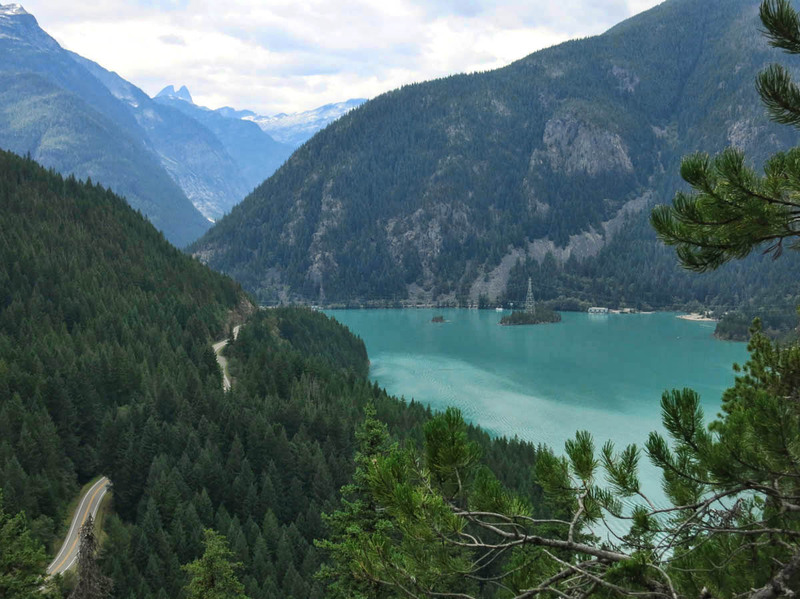 This entry was posted in Washington and tagged Diablo Lake, North Cascades National Park by Suzanne. Bookmark the permalink. Outstanding! Interesting! Beautiful! Love, love your pictures and your captions! The only problem with more reliance on Solar Energy in the PNW is all the clouds and rain up there. Maybe wind? The power lines and concrete does interrupt the National Park feel. I imagine looking over the Grand Canyon to such a scene and cringe. Beautiful views of the park, but I agree with you totally, more solar options feels like the way to proceed in this country. I cannot believe all the power lines running through that stunning wilderness. It’s still a beautiful park in spite of the power lines. You just have to go farther back into the wilderness. Sequence – the dams went in decades before the park was created, but you’re right about the PR. The Seattle City Light manager when the dams were built was big into PR. Agree very much but still it does look like a lovely place and I think I’ll need to add it to my must sees once I get the trailer! You get to spend a week in GNP too??? Dress warm it has been super chilly here and is predicted to stay that way! If you need anything while up there let me know – am not that far (in MT terms) if you need help for any reason. Are you staying on the west side or east side? We run off electric hook or battery up most of the time but then we’re not away for as long as you. With our climate, investing in solar panels would not really pay off, but if you move south for the winter months then they’ll come into their own again. Again beautiful pictures but then thats one of the trade marks of your blog. That dam has a good road over it did you cycle it? As a total Abbey devotee I am with you on the dams. I won’t even visit Glen Canyon seems an insult to the man. If you ever want to do some monkeywrenching, count me in. Our attitudes on solar and all of it seem totally in sync. What is it about environmental destruction that this country can’t let go of. Wherever you are there is some form of alternative energy, it all seems a matter of price which the powers that be are making sure stays high. Envying your caravaning with friends, what fun. 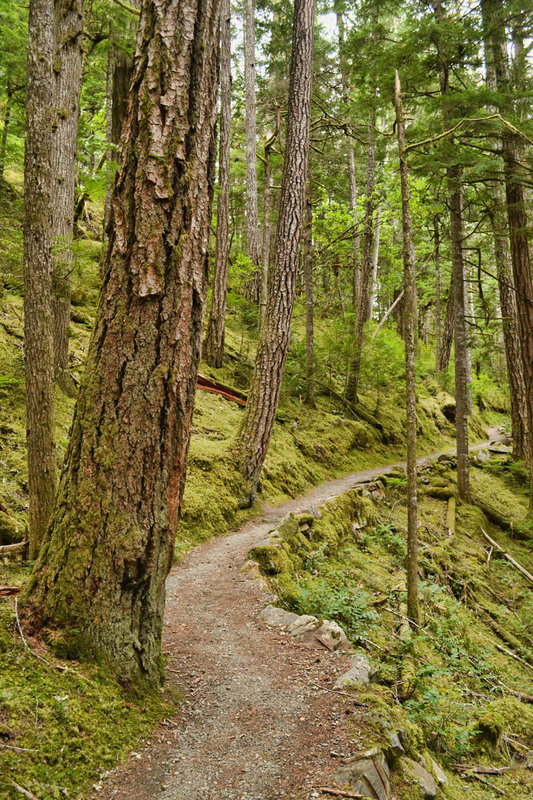 Thanks for the beautiful pictures of this almost unknown National park. So sorry about the power lines. I was surprised to see them lining the highway into Moab too. I’m shocked that you have strong 4G there. There wasn’t even a 3G within 20 miles of Capitol Reef. 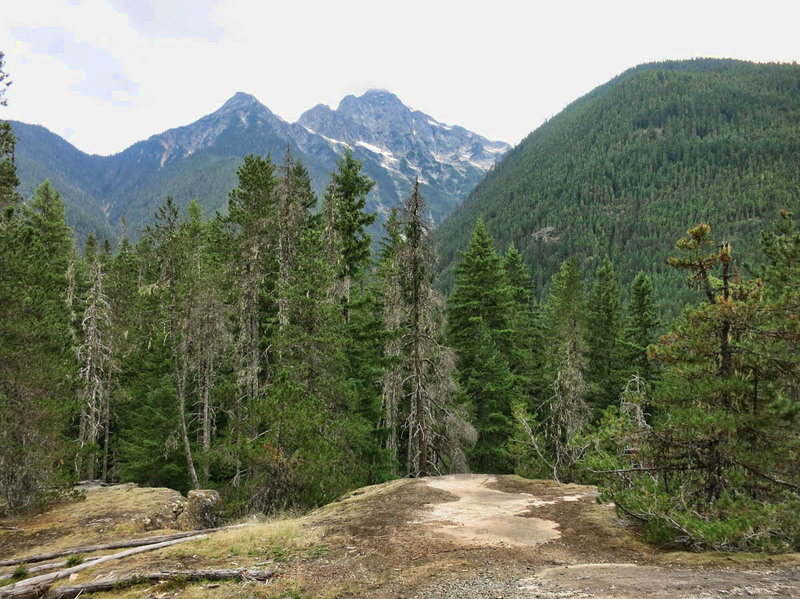 Jim’s right–North Cascades NP is primarily a back-country experience. 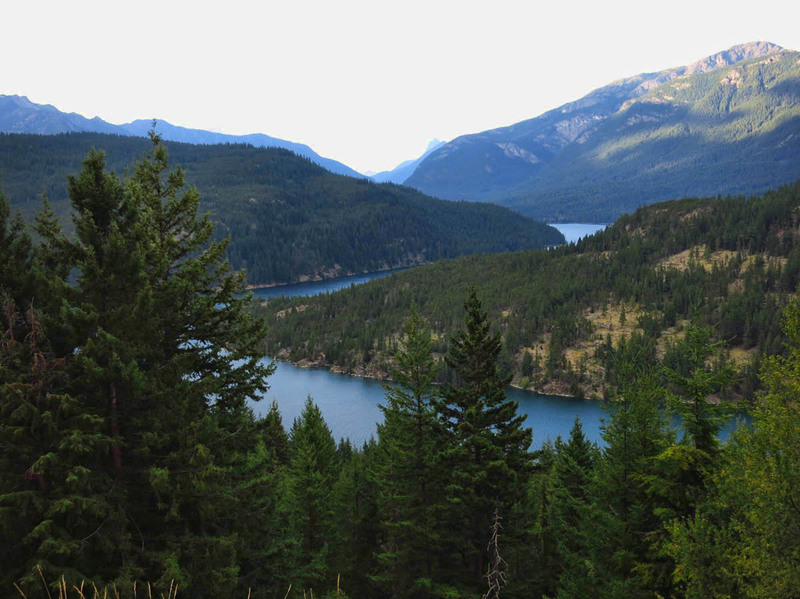 Visiting on the back side, from Lake Chelan, gives you a much better sense of how wild & wonderful a place it is. You’re right–the dam tour is a $38 advert for Seattle City Light completely with an awful spaghetti dinner. But hey, 3 cheers for 4G!! Beautiful pix! (As always!!!) I think you may be selling a nation or at least a fan base that they need to turn off the TV and hit the road, or in the case of your traveling community, hitch up to your bumper 🙂 🙂 I started pricing camper vans recently. I have checked my budget from the top and ended by settling on a Ford Transit Connect conversion ;-). Totally unrelated (as most of my opinions and rants are; LOL) but the power company tour you speak of reminds me of when I diverted one trip through Mexico to stop by the Dos Equis brewery in Monterrey for a “Brewery and tasting tour”. It consisted of being shuffled into a presentation room with large screen and projector. To the side was a small window where you could watch a conveyor lined with beer bottles being capped. Up on the screen was an unending overproduced movie of a board-member-like presentation of every previously locally owned beer company (except Corona/Modelo) they had managed to acquisition, every former independent business, and including their current flagship retail outlet and growth cow – the Oxxo company. On the way out, I got a free beer, while I viewed and breathed in the Monterrey smog wondering what just happened. The show was successful in directing me to always make Oxxo my last stop option on the road and at last allowed me to understand why it’s almost impossible to find a Corona in Mexico (not that I would ever go looking for one; Corona owned Negra Modelo, now that’s a different story). Still I suppose I might look at Oxxo as an evil conglomerate a little differently than a power company damn. It is all relative I suppose …. here in Texas we look at this shining nuclear plant in nearby Glen Rose, with the power lines framing a sparse mesquite tree or tumbleweed here and there. We rest in our nearby homes, air-conditioners blaring, making financial arrangements to meet the monthly $500 electric bill, and all the while hoping that the new nearby Cleburne and vicinity fracking induced earthquakes won’t disturb our glowing Glen Rose uranium container too deeply.